Despite the industry’s progression toward value-based care, a gap remains when it comes to asthma treatment. 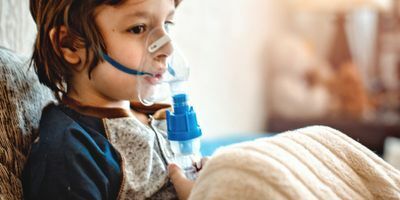 The Centers for Disease Control (CDC) has reported that hospitalizations for asthma account for $1.5 billion in annual hospital charges and represent almost a third of childhood asthma costs. Given the direct link between allergies and asthma, it’s critical that a patient’s allergic triggers are identified early in the diagnostic process. In vitro testing is a proven solution for assessing allergen-specific immunoglobulin E (specific-IgE) sensitization. 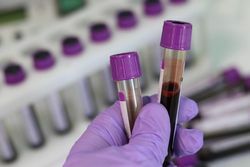 The blood tests are accurate and can be ordered by a primary care physician during a routine exam, but unfortunately, they are often underutilized by healthcare professionals. Sometimes costs are a barrier, but according to one study, while allergy trigger testing for high-risk asthma patients requires resources, the cumulative cost of poorly controlled asthma (ED visits, hospital visits, extended stays, etc.) can well exceed the cost of taking this proactive approach. “Appropriate diagnosis and treatment of allergies requires specific-IgE testing (either skin or blood tests) based on the patient’s clinical history,” according to the American Academy of Allergy, Asthma, and Immunology. 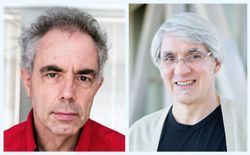 Even with skillful questioning, patient recall may paint an incomplete and potentially inaccurate picture. In addition, both exposure (confirmed by history) and sensitization (confirmed by diagnostic testing) are necessary to make an accurate diagnosis. Equally important is helping clinicians interpret allergen specific-IgE test results. A study that looked at five different specific-IgE test procedures using the average standardized slope coefficient (ASSC) from 12,708 samples found that the ImmunoCAP system produced quantitative specific-IgE results over a large range with precision and accuracy, and performed well when compared to the standard of an ideal assay. Specific-IgE values >0.10 kUA/L indicate sensitization, and increased values correlate with increased probability of symptoms. Ranking a patient’s results from high to low helps prioritize targets for environmental control. Patients with asthma who have allergy testing are significantly more likely to employ preventive strategies—such as having an asthma treatment plan, avoiding triggers, and taking medication as prescribed—than patients who haven’t been tested. Clinicians can use the results of allergen-specific-IgE testing to customize treatment plans and engage patients in their own care, providing personalized medicine at its best. Additionally, specific-IgE testing is reproducible. Quality control measures and the sensitivity measured with specific-IgE testing on Phadia instruments is universal throughout any laboratory running the test. The same cannot be said for skin testing. Physicians may interpret the results of a skin test differently and allergen extracts used in the procedure could be manufactured by several different companies, without standardization, leading to variations in the diagnosis and ultimately the patient’s treatment plan. The Asthma and Allergy Task Force, a group of 11 healthcare professionals supported by Thermo Fisher Scientific that met in person and remotely over a period of 20 months to develop recommendations for enhanced asthma management, acknowledged that asthma care often misses the improvements that result from identification, assessment, and management of allergic triggers in accordance with guideline-based asthma management. This gap in care represents an opportunity for promoting the value of laboratory services. Allergy trigger testing for people with asthma requires resources, but poorly controlled asthma is expensive in terms of emergency department visits, hospitalizations (inpatient and intensive care), and extended stays. 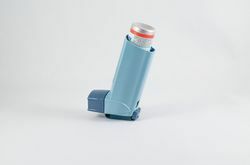 According to The Epidemiology and Natural History of Asthma: Outcomes and Treatment Regimens (TENOR) cohort study, a single case of uncontrolled asthma can cost $5,963 per year, double the cost for a patient whose asthma symptoms are controlled. Certain patients will be more likely to benefit from certain treatments. Data is already helping to stratify populations. The more data laboratories produce and share, the better able we are to predict outcomes and prescribe care plans that ultimately reduce the system-wide costs of managing asthma. Allergy evaluations are a key part of this process. Using laboratory data as well as billing and ICD-10 codes, including prescription data, we can help identify those with asthma and flag certain high-risk patients, according to asthma guidelines. This enables the identification of patients who are candidates for appropriate diagnostic testing. The data obtained in the diagnostic practice and clinical care can be tracked over time to measure progress toward the Triple Aim goals. For most of us who work in the laboratory, promoting ourselves or our services goes against our DNA. Yet, laboratories can make a meaningful difference in asthma care by advocating for the appropriate use of specific-IgE testing for asthma patients. With three-quarters of people with asthma receiving care in a primary care practice, healthcare providers need education to better understand specific-IgE results and the value of the results in improving outcomes for those patients with a high asthma burden. As laboratory leaders, we’re in a position to support this process by discussing the need for allergic trigger management in asthma with a variety of specialties including family medicine, internal medicine, pediatrics, pulmonology, and emergency medicine. In addition, persons involved in care management and/or quality improvement can benefit from opportunities to integrate the use of laboratory results into their quality improvement initiatives. Delivering excellence in value-based asthma care is predicated on the concept that we can simultaneously improve quality while containing costs. The laboratory plays a critical role in improving outcomes for asthma patients, so it’s our turn to take off our lab coats and lead.